A KPI, or key performance indicator, is a specific measure of progress toward business goals or objectives. More simply, KPIs are the numbers and stats that are critical to your organization’s success. A dashboard is a visual display of your data in clear, easy-to-read charts and graphs, all consolidated on a single screen. So, a KPI dashboard is a straightforward display of your most important data. Pretty easy, right? Once it’s set up, a KPI dashboard can become an integral part of the way you run your business, and one of the most powerful tools in your arsenal. But how do you set up a KPI dashboard? 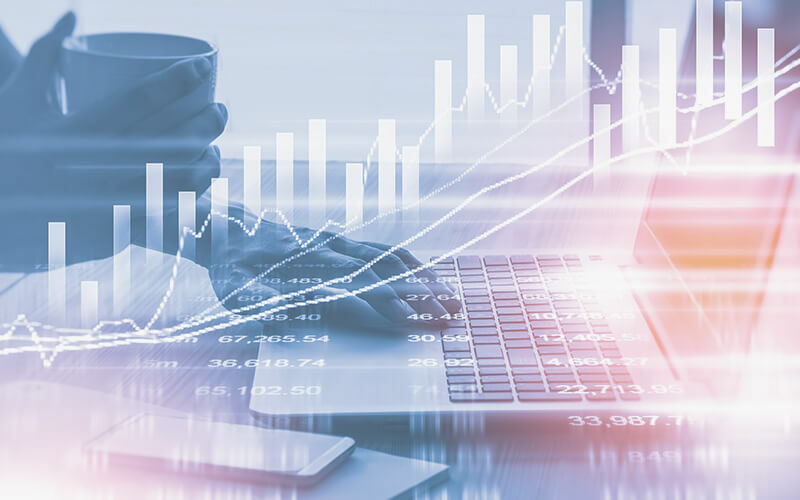 We have a few tips for how to identify the best KPIs for your dashboard, as well as a few best practices to ensure that your business intelligence dashboard is as effective as possible. *Tip: Your individual goals should support departmental goals, which should in turn support company goals. 2. Identify metrics that will measure how you’re achieving those goals. – Measured frequently and regularly. – Rates or ratios, which make it easy to recognize and measure trends and growth. – Comparative within a time period, site, or segment. – Simple enough for you to remember and talk about. – Controllable and improvable. Does your work move that needle? 4. Select one or two metrics for each goal, and add them to your dashboard. *Tip: You can still have other dashboards to visualize non-critical metrics, but your KPI dashboard should be focused on the most important numbers. 5. Squeeze your KPIs for all they’re worth. Learn which levers to pull and which buttons to push to get the results you want. 6. Re-evaluate your KPIs for effectiveness on a regular basis. As you achieve your goals and your company grows, you’ll need to adjust the ways you measure your success. And that means rebuilding your KPI dashboard! Generic. Every role within a company has unique responsibilities. Your KPI dashboard should contain the metrics that best measure YOUR work and help you align your efforts to company goals. Make it personal. Cluttered. Just because a lot of data is relevant to your business doesn’t mean you need to see it all of the time. Only a few numbers are critical. A good KPI dashboard helps you tighten your focus on the most important metrics. Hard to read. You need to know what you’re looking at, plain and simple. Clear labeling and clean organization is a critical part of a good KPI dashboard. Visually “meh.” You might as well put your head back in a spreadsheet if your data isn’t displayed well. 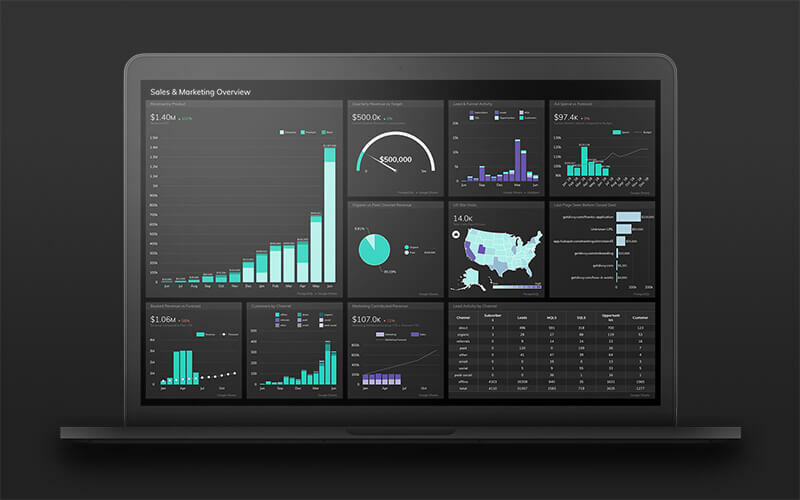 A good KPI dashboard provides striking data visualization that can show your story at a glance. Outdated. There’s really no excuse anymore to be using stale, month-old data to run your business. Your KPI dashboard should display data that’s updated in real-time so you can make decisions based on the freshest information possible. Hard to share. Whether you’re preparing a report for your manager or a potential investor, it should be easy to share visually impactful data with the people who need to see it. 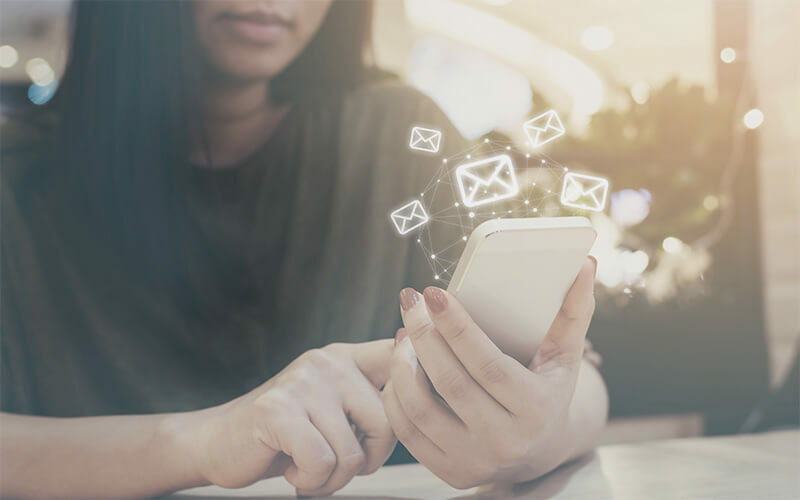 Printing your screen or copying and pasting metrics won’t deliver a simple, professional result—rather, emails and PDFs should be built in to your KPI dashboard system. Powerful. Our CEO said it best when he described tracking KPIs as “the most transformational thing [he’s] ever experienced in business.” Your KPI dashboard should empower you to make smarter decisions based on your most important data. A one-stop shop. A KPI dashboard consolidates your data and saves you from opening a dozen apps and spreadsheets. Instead of toggling between tabs and windows, you should be able to see everything at once. Visual. We humans are visual creatures, and a good KPI dashboard prioritizes visualization so that you can display your data in the most effective, digestible format. Easy to use. The point of a KPI dashboard is to make your data accessible and simple. It should make it easier to do your job better. A clunky solution that’s hard to manipulate defeats that purpose. Does it have a support system? Just because you aren’t (or haven’t hired) a data analyst doesn’t mean you should be stuck at a disadvantage. A good KPI dashboard solution has a great client support team behind it to help with integration and building more complicated metrics. Is it scalable? If your KPI dashboard does what it’s supposed to do (i.e., help your company accelerate growth), your team’s needs will change. As you evaluate dashboarding solutions, consider which are robust and flexible enough to grow with you. Is it for internal use only? If you want to use KPI dashboards to present results to clients or other individuals outside your company, you may want to consider a solution that offers white label services, like branded design and customized client login portals.